3. 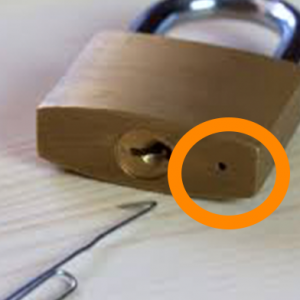 Ever wonder what that little hole at the bottom of padlocks beside the key part are there for? Turns out, this tiny hole is there to help oil the lock if it becomes rusty. It also works as a drain to drain out any liquids that may go into the lock.